A Flutist was asking about how to buy the printed music for Rampal's Album, Japanese Melodies for Flute and Harp, which, as I've found in the past, is really difficult to locate online as sheetmusic for sale. Specifically they wanted to perform for flute and harp, the two pieces entitled Sakura (folksong-anon.) and Haro No Umi (The Sea in Springtime) by Miyagi. 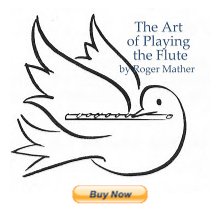 For that sheetmusic, in all its instrumentations, see below for flute and harp specifically. People are now having great difficulty ordering this 'Rampal Japanese Melodies' book outside of Japan. If you know someone who lives in Japan, have them mail one to you. If you don't know anyone who travels or lives in Japan, then try used book stores such as: Abe Books in the U.S. or Powell Used Books. Fluteworld in Michigan is also having trouble obtaining it. Haru No Umi for Flute and Guitar. Both are relatively similar to the Rampal sheetmusic and CD. The Jean Pierre Rampal CD "Japanese Melodies" sheetmusic source is the book of sheetmusic that goes by the same name. From the foreword: "The twelve pieces compiled in this album were arranged by Akio Yashiro for Jean-Pierre Rampal and Lily Laskine at the request of Nippon Record Co. .... In publishing these scores, we asked Mr. Josef Molnar to write instructions for piano accompaniment adapting some harp passages to be available for the piano and annexed them to the end of this album. September 1, 1985 Ongaku No Tomo Sha Corp."
The above title can be found in the library system at World Cat Library as score/sheetmusic. You can use your own public library's "Interlibrary Loan" program to order the sheetmusic book to your own town library. Just ask at the desk (there are two copies of the book in the system; one in Iowa, one in California). Also, it's possible that Fluteworld can order new copies of this book (ask for Volume 2, specifically, Book No. 609012) directly from the publisher in Japan. Fluteworld has previously carried this title, carries several other books from Ongaku No Tomo, and will likely be able help you by phone or email. If you order we send PROFOMA INVOICE. Upon receipt of your payment, we will ship the order immediately. Currency conversion is 4000 yen = $50 U.S. Sounds like it's alot easier to get ahold of this sheetmusic if you have a friend who lives in Japan and can order it for you, and send it on. So, given that complication, I then proceeded, as is my tiny wont, to hunt all over the internet to locate equivalent arrangements of Haro No Umi and Sakura in sheetmusic sources that everyone who wants to recreate the Rampal album will want to know about. Rampal's Japanese Melodies for Flute, Lily Laskin Harp CD; Album samples. Listen: As played by Jean Pierre Rampal: youtube. Phantasy of Themes of Japanese FolkSongs. There are two full-length pieces in this collection. Second piece is Haru no Umi. Phantasy on Themes of Japanese Folk Songs for Flute and Harp, composed by Josef Molnar; amd Haru no Umi for a treble instrument and harp, by Michio Miyagi and arranged by Josef Molnar. This latter is 10 pages long, 124 measures, and aside from two measures using Cb and Gb in glissandos, and a few F# or Fb places, easily altered for large lever harp playing, it has an Em pentatonic flavor...beautiful. Note: I own the above version and it is almost identical to the Rampal version. Harpist may well find they can read directly from the guitar part. James Galway version: from "Showpieces" book. You can hear this version on youtube if you look for Haro No Umi for flute and piano. And finally: there's a violin transcription. Listen to Jean Pierre Rampal Version: youtube. http://www.gspguitar.com/jsp2/listSearch.jsp And search for "Sakura" without quotes. And finally, there are lots of versions for Harp that the flutist could rearrange a simple flute part from. All the above harp sheetmusic books contain "Sakura". Best of luck finding the sheetmusic, and let us know whether you could find the version that matches the Rampal recorded versions for flute and harp. Jennifer, I was excited to see that you were looking into sheet music for this CD. I own the book you listed (purchased used for much less than $50). Unfortunately, my song of choice is Moon Over the Ruined Castle. While this is in the book, it is not the same version as the CD. I am resigning myself to the need to figure it out by ear. You seem to have some search techniques I have not mastered. I wonder if you have any tips or suggested places to look. Thank you for all the work you've done! I find myself returning to your site frequently. Thanks so much Rebecca, for your comment. It seems there are two Rebeccas, and I'm just realizing that now. Sorry for any confusion. My search methods are the same as anybody's, except I go deeper and deeper into the clues, like Poirot of Agatha Christy fame. I just keep googling each clue I find until I finally arrive at a publisher. Then I use their search box to find the piece listed on their in-house online catalogue; many of which somehow don't get spidered by google. So once you know the publisher, then you find them, then you search their website. It's all very mysterious and the "little grey cells" get quite the workout. Thanks, Jen, for your detective work! I've got the two pieces from the Rampal book. Wondering if I should buy the Phantasy book to compare the two Haru no Umi. Do you know if that is the one Rampal is playing on the CD? I haven't had time to compare the Rampal book version against the CD. They are all beautiful! It's easier, because the site has an English interface. Warning transport is quite expensive. Greetings from Belgium. Hi Terri, Unbelievably, I don't own the Rampal CD, so I'm not sure what matches up with what. And I haven't ordered the harp version at all. Dear Belgium helper, thanks for the direct link. Very useful. If it's any help... we're UK-based and have several copies of the 'Japanese Melodies' book for flute & harp in stock and we despatch worldwide.